A first for AEPV and its members. On November 17th of this year, about twenty members of the AEPV were able to participate in a visit of the DMA Groupe followed by a Beaujolais cocktail. A happy occasion to present the know-how of the DMA Groupe (AIN), specialised in the design / manufacture of high speed assembly machines and marking machines (Pad printing, Hot stamping, Silkscreen printing) in the cosmetics, pharmacy and automotive sectors. 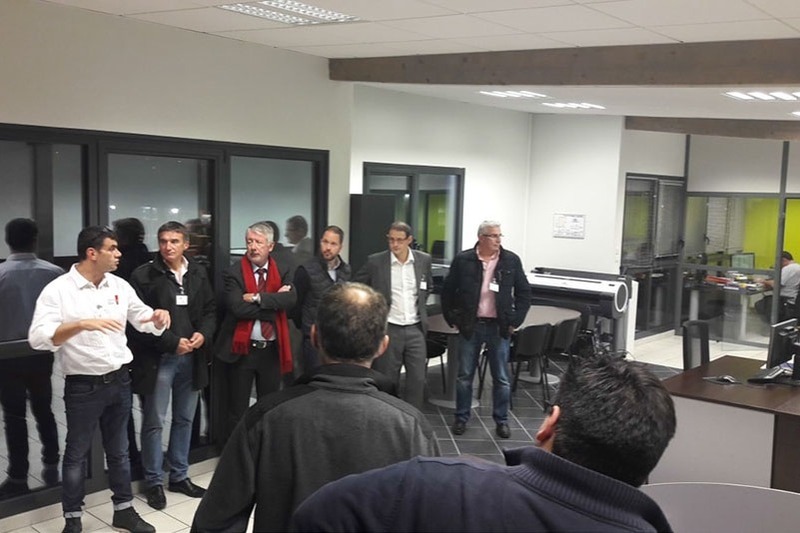 This visit of the DMA Groupe, which was a success, is the first one of a regular series of visits of companies which will be offered in 2017 by AEPV, an association whose goal is to federate the economic actors of the territory and to network the business leaders and the collaborators to develop projects for the Plastics Valley.